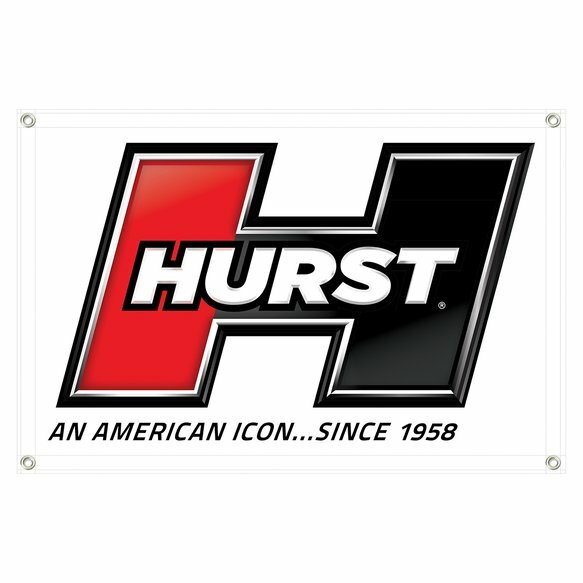 This large Hurst banner is the perfect addition to any garage, shop, or man cave. Made from heavy weight 8 mil poly vinyl, measuring 34" x 48", along with a sewn in perimeter, and four heavy duty grommets on all four coners. *Free Shipping & Handling only offered to the contiguous US on orders over $100, excludes clearance parts and oversized packages. Some parts are not legal for use in California or other states with similar regulations. Holley® has been the undisputed leader in fuel systems for over 100 years. Holley carburetors powered every Monster Energy NASCAR® Cup team and nearly every NHRA® Pro–Stock champion for four decades. Now, Holley EFI products power these cars and are dominating the performance world. Holley products for GM's popular LS engine are dominating the LS scene as well. Holley's products also include performance fuel pumps, intake manifolds & engine dress–up products for street performance, race and marine applications. As a single solution, or partnered with products from other Holley companies we can give you the edge you need over the competition! © 2019 Holley Performance Products. All Rights Reserved.